For those of you who've been nice enough to give comments on the earlier drafts of my latest (and final) Toledo Law Review Deans' Symposium piece, Not Quite "Them," Not Quite "Us": Why It's Difficult for Former Deans to Go Home Again, I've just posted a revised draft on SSRN. Still happy to receive comments--I'll be using a revised version of this piece, as well as some interviews with some people who experienced some of the same things that I did, in my Managing by Ambush book. Thanks! After way too many years talking with students after they've received their grades (especially first-year students), I started to think about how I could help students diagnose their grades. Typically, when I hear a student tell me that he "knew the material cold," I wonder whether the problem isn't about understanding the material but about misunderstanding what it means to write an essay exam. We can talk about IRAC, CIRA, and every other acronym under the sun but, often, students hear what we're saying but can't apply it. Here's why I'm giving a shout-out to Professor Mary Beth Beazley at Moritz College of Law, The Ohio State University. The process of finding the elements and of physically marking them -- e.g., with a highlighter -- forces the writer to focus his or her attention on one element of the document at a time. This focus often helps to provide enough psychological distance to allow the writer to conduct an objective evaluation of his or her writing and, ideally, to improve it. So here's the Rapoport method. 2. You get points on exams for what you put in your answer, not what you have in your head. 3. There are two types of errors that I see on most exams. The first type of error is serious: not understanding the law. (Let's call that error the input error.) My method doesn't deal with that error. It deals with the second type of error: not understanding the components of a good answer. Let's call that error the applicaton error. 4. Often, students with the second type of error systematically skip one or more of the components of a good answer, thereby cheating themselves out of points that they could have gotten. 5. So, to the diagnosis part. Get four colors of highlighters. You'll use one for highlighting your statement of the rules, one for highlighting your use of the facts from the hypothetical, one for your application of those facts from the hypothetical to the rule (including any exceptions to the rule), and one for any conclusions that you draw after you apply the facts to the law. 6. Students who systematically forget to put the rule(s) down on paper will see that mistake. So will students who jump to conclusions without demonstrating each step of their analysis, or those who write general statements about the hypothetical without looking for those particular facts on which a given hypo will turn. 7. After the student has had a chance to look for systematic errors, then it's time to start with step 1 again: more practice exams, more diagnosis, then still more practice, and still more diagnosis. Some students resist the extra work that this method takes, preferring instead to focus on more detailed outlining or on buying more commercial outlines. But knowing the law and using the law are different skills, and both skills are necessary. Each without the other is useless (except at cocktail parties). Will this work for everyone with an application error, rather than an input error? I don't know. But I know that not diagnosing the problem is a sure-fire way to repeat the error each semester. 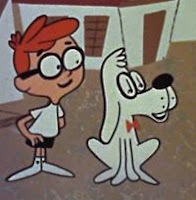 Peabody’s Improbable History [a regular segment on the Rocky and Bullwinkle shows] featured a talking dog genius named Mister Peabody who had a pet boy named Sherman. Sherman and Peabody would use Peabody’s “WABAC machine” (pronounced “way-back[,”] and partially a play on early computer brands such as UNIVAC and ENIAC) to go back in time to discover the real story behind historical events. Using our own WABAC machine, let’s imagine the beginning of the year 2002: Enron has filed for chapter 11 protection, followed shortly thereafter by WorldCom’s chapter 11 filing (which then surpasses Enron’s chapter 11 as the nation’s largest bankruptcy). The Enron and WorldCom scandals involve accounting fraud on a grand scale. Then tick off the rest of the scandals, including Tyco, Global Crossing, and Adelphia. Market confidence plummets. Congress, in its rush to distance itself from those scandals, enacts Sarbanes-Oxley as a way to tighten up the reports from public companies. We can spend a lot of time wondering whether Sarbanes-Oxley was even necessary or whether it’s deterred any new fraud. (Personally, I don’t think that Sarbox was necessary, and I doubt that it’s deterred any determined liars or cheats.) But as a symbolic gesture, Sarbox was designed to level the playing field a bit. In any private action arising under this chapter in which the plaintiff may recover money damages only on proof that the defendant acted with a particular state of mind, the complaint shall, with respect to each act or omission alleged to violate this chapter, state with particularity facts giving rise to a strong inference that the defendant acted with the required state of mind. Excuse me? Let’s go into that WABAC machine again. For a long time, we had the Big Eight accounting firms. With some mergers, we went to the Big Six, and eventually to the Big Five. One of those five was the late Arthur Andersen (killed by a successful firmwide indictment, then resurrected—too late—by the United States Supreme Court in Arthur Andersen LLP v. United States). Arthur Andersen gave us major accounting errors in Sunbeam, WorldCom, Waste Management, etc., and, of course, it gave us Enron. Now we have the Remaining Few. None of the major public accounting firms is error-free, of course, and that’s the point. Reasonable mistakes are one thing, and those shouldn’t be actionable; aiding and abetting is something entirely different. Mind you, it’s the rare company that will police itself. The SEC is one of the two watchdogs the public has to monitor large-scale fraud, and litigation is the other. When the SEC wants to curtail the size of damage awards, it’s telling us that it doesn’t trust juries to weigh the evidence, and it doesn’t trust judges to keep out improper evidence. What’s the reason that the chief SEC accountant gives for wanting to protect these remaining large accounting firms? Here's the theory: without the biggest firms alive and well, no one's going to be around to do the audits of public companies. Here’s a suggestion: if the Remaining Few do such a poor job that juries award large damages in cases against them, maybe those companies shouldn’t be the ones doing the bulk of auditing. Maybe other firms could take their place. I’m not saying that we should beat up on the Remaining Few. There are plenty of talented, ethical lawyers and accountants there, just as there were at Arthur Andersen. But if the Remaining Few get sloppy—or get captured, even after Sarbox has separated the audit and consulting businesses—why should the government protect them? What justifies placing the Remaining Few into a special category? Mr. Peabody and Sherman used the WABAC machine to go back to famous historical events, interact with the key players, and then return to the present, always ending the episode with a bad pun. The SEC should use its own WABAC machine to remember how stunned we all were by the events of late 2001 and all of 2002. Maybe then it would change its attitude, which appears to be that money doesn’t grow on . . . pleas. As I was reading the morning's paper, I noticed this news item: Former CIA Official, Contractor Indicted, along with a picture of U.S. Attorney Carol Lam. Carol was the U.S. Attorney in San Diego responsible for the prosecution of Randy "Duke" Cunningham. She's quoted in this post at ABC.com as saying, "'High government positions and powerful connections should not be tickets to corrupt self-enrichment.'" She's also one of the U.S. Attorneys recently asked to resign, although she's behaved very professionally about that. I remember her from law school--extremely smart and talented in several ways, with gravitas and yet a friendly manner. I liked her then; I like and respect her even more these days. I have no idea what she's going to do next, but I'm hoping that the folks at her next post value her for what she brings to the table and for what she's done for all of us. I foolishly tried to update my anti-virus software. Because my computer originally came with McAfee, I thought that I'd just update that software. That was my first mistake. 1. I purchased the newest McAfee VirusScan. 4. I ran its diagnostics, and it suggested that I update two files. 5. I clicked on the link to get me to the update area, called McAfee Service Portal. 6. I tried to log on, but Service Portal wouldn't accept the very account that I had just opened when I purchased my software. 7. I tried to get technical support from the web. I couldn't log on because technical support also wouldn't accept the account info that I had just created. 8. I tried emailing McAfee. I couldn't find a working email address that didn't first start by taking me through steps #6-7. 9. I tried creating a new user account, but I couldn't get a grant number (a GRANT NUMBER? for a NEW USER????). 10. I tried emailing sales, on the theory that someone there might be able to get me to a human. No response. 13. I called that number. It's for CORPORATE support, so corporate support gave me to consumer customer support, at (866) 622-3911. 14. Before I called consumer customer support, I asked corporate support to let me speak to a manager. Corporate support put me into a phone loop. I hung up. 15. I called consumer support, which told me that it couldn't help me. It suggested I call corporate support for a refund. 16. I called corporate support, which told me that I had to call another number--866-622-3911--for a refund. I asked to speak to a manager without being put into another phone loop. I was transferred to the phone loop. I hung up. 17. I called this latest number, and I found someone willing to give me a refund. Well, sort of--it may take several days, and I'll have to wait for a disk to be sent to me so that I can return the disk, unopened, for yet another refund. I asked if someone there could get a message to corporate that this experience in customer taunting has been the worst of my life (46 years and counting). Nope. There's no link to corporate from this number. My gut hunch is that I'll have to spend several more minutes of my life getting an actual refund. Moral: Kafka couldn't create a worse customer service story. I suggest that anyone who wants to avoid this type of stress also avoid McAfee. In answering Jeff Harrison's question on salary compression with a comment of my own, I realized that I'd answered him from the standpoint of years of reviewing professors' annual reports, not from the standpoint of shared governance. How should the dean work w/a faculty committee on raises? From the perspective of the dean and any faculty executive/budget committee, the point is to make sure that the reviews (and resulting raises) are fair across categories (across various faculty ranks) and to the individual professors getting raises. At UH, the faculty executive committees over the years were generally willing to give me advice about general categories and to look over the recommended raises to see if I had missed something that would cause me to want to recommend a different raise amount. Very few committee members were comfortable doing a full-scale review of everyone's case for a raise. When committee members did such reviews, they (naturally) noticed cases most similar to their own. I faced a fair amount of resistance in trying to adapt the criteria for review to individual professors' assignments, even though such individualized criteria are common in land-grant universities (e.g., X% of someone's time allocated to research, Y% of time allocated to teaching, and 100-(X+Y)% allocated to service). I still believe that individualized criteria would be more fair to those groups who traditionally provide a large amount of unrecognized service: professors who do significantly more student counseling than their peers (often, these professors are women or people of color); clinical professors; research and writing professors. Individualized criteria would also be more fair to those who tend to focus on either research or teaching, as long as the criteria still encourage both groups to pull their weight on their less-favored obligations. But I recognize that there's plenty of potential for a bad administrator to use individualized criteria for unsavory purposes. What do other schools do? Feel free to post a comment here or at MoneyLaw, or better yet, at both blogs. Here's more on the issue of starting salaries at large law firms: Jeff Lipshaw, Days of Whine and Roses, or the Strangled Cries of Lawyers in Love; David Luban, Associates of the World, Unite! ; and Brian Tamanaha, A Slice of Information About Corporate Law Firms and Legal Academia. Would love to see what folks think about any of these takes, and especially about my last post on law firm budgets--thanks! On February 6, the WSJ Law Blog posted this article: Pay Gap: Top Firm Associates Fall Behind Partners. In that post, Jessica Marmor points out one longstanding truth and one important trend. One key reason for the differences between smaller and larger firms may be the rise in nonequity partners, according to Indiana University law professor William Henderson, quoted in the NLJ article. As more senior associates are promoted to nonequity partner instead of full partner, the pay differential between associates and full partners becomes more pronounced. The article doesn’t address the effect of the recent pay hikes. But New York Magazine points out this week that the recent rash of raises will take a chunk out of partners’ paychecks. According to the article, it’s estimated that at a big firm like Simpson, each partner will take an approximate hit of $40,000 to $70,000 a year to pay for the salary bump. “It’s horrible,” said one partner at a big firm. We're not talking about rocket science here: law firms have fixed and variable costs. They have to pay their expenses before they can net out any profits. As associate salaries go up, overall expenses go up, and something has to give. In every market (except, perhaps, New York and Miami, from what I've seen of the billing rates in those two markets), there will come a point at which a firm's billable rates price that firm out of the market. That firm will start losing business if it then keeps its billable rates too high. The clients of these large law firms are sophisticated, too, and they have choices in their selection of law firms. And no billable rate is going to work if it becomes uncollectible--if the clients don't pay their bills. So partners are faced with a dilemma. Should they pay "going rates" for starting salaries? How will they make up the added expenses in their budgets? At some point, honest lawyers can only bill a certain amount in a year, because years themselves have a fixed number of hours. There are two options: partners take less, or law firms will have to change the way they bill. The funny thing is that law firms changed their billing styles to the billable hours model because the "old way" of billing -- a one-line bill, with "for professional services rendered" -- wasn't getting the firms enough money. 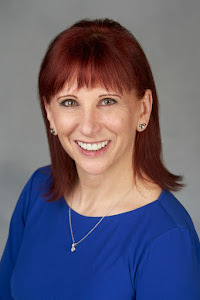 Instead of eyeballing the work done and coming up with a bottom-line number that the billing partner thought was fair, the billable hours model was supposed to make the practice of law more businesslike and thus more profitable. Now it's too late to go back to the old eyeballing model, and firms are going to have to come up with some other method. Value billing (book rate)? A pre-fiscal-year plan for how many of what types of matters will add up to a profitable year for the firm? A permanent decrease in partners' draws? Of course, associates could take less money. No one claims that first-year associates are worth the salaries that they receive, especially if those salaries begin with a six-figure sum. Do associates really understand the golden handcuffs that come with such large salaries? My sense is that few of them really understand the personal sacrifices of 6.5/day workweeks. I'll be watching this development very closely. In today's New York Times, Mimi Swartz has a lovely piece (Lone Starlets) on the late Molly Ivins, Nellie Connally, and Ann Richards. I grew up knowing the names of these Texas heroes of mine, although I only met one of them--Ann Richards--once, and only briefly. Their names mingle in my mind with the very-much-alive Sarah Weddington, someone I'm lucky enough to call a friend. I think of three of these names--Ivins, Richards, Weddington--as people who have changed the nation, each in her own way (and in my opinion, for the better). Funny, irreverent, strong, and brave women, all of them. There's another generation of strong, iconic Texas women coming right behind them, with Mimi definitely on that list. There's another woman that fewer people knew, and today would have been her birthday. A Texan-by-choice (well, sort of: she followed my dad down here for his Ph.D. at Texas A&M, a story that she told in The Third Jewish Catalog), my mother, Shirley Bard Rapoport, was just as strong and as brave in her own right. Almost totally deaf since childhood, my mom was a classic extrovert, meeting people in every type of circumstance imaginable and having an uncanny ability to turn complete strangers into friends. If I had to pick one adjective for her, it'd be "fearless"--she was always ahead of trends, always willing to try something new, always up for an adventure. She was also incredibly generous with her love and usually optimistic (effervescent, really) in mood, even with health problems so severe that I was always amazed that she lived as long as she did. Of course, she had her bad moments, and she and I had catfights aplenty while I was growing up. I didn't see much of her in myself until just shortly before she died, and now I see so much of her in me--and I'm very grateful for what she gave me. Most of all, she and my dad gave me an example of love-for-life with their extremely happy marriage. So here's to Mimi's salute to iconic Texas women, with my added toast to one person less well-known but no less loved.